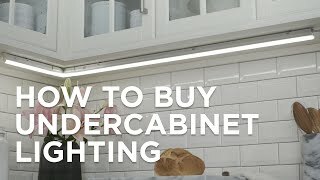 This LED tape light kit lets you add color to just about any room - a simple DIY job and you can brighten ceiling coves, under cabinet spaces, mirrors and more. This kit includes a 16-foot LED tape light strip, LED controller, power cord and remote. Use it to Add a cool color accent to mirrors, ceiling coves, kitchen under-cabinets and more. By using the remote control, you can get a full range of colors from the LED strip; red, green, blue, and yellow colors are all available. You can set the LEDs for one color, have them rotate colors, set the rate of color change and more. The LEDs are very energy-efficient, with the full strip using a mere 36 watts. Power adapter needs to be hosted in a waterproof container. 360 Lighting brand LED tape light strip. 16 1/2-feet long x 3/8" wide . 150 LEDs per reel, or 30 LEDs per meter. Uses 36 watts. Low voltage - 12V. Red, green, blue, and yellow colors. Includes a remote control with dimmer. Great for kitchens, work spaces, showrooms and more. Tape is water resistant, but not submersible. IP 65 rating. Power adapter needs to be hosted in a waterproof container. Trim to desired length, then discard any excess. Not connectable to other tape strips. LEDs average 30,000 hours when used 3 hours per day. We recently purchased these lights for our kitchen and we are constantly having to push them back in place. They do not stick at all! Any tips/advice please?? 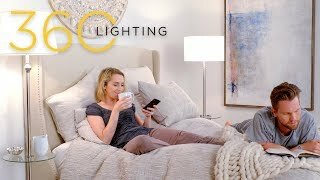 regarding the LED tape lights that are 16 1/2 ft long...what is the width of them? Also, if I need to use 4 or five sections of them can they be "daisy chained" together? I believe they are 5/16" wide or possibly 3/8". Not certain because I also have some (different brand) I bought at Costco & not sure which is which. You can not daisy chain them together in a length longer than 16.5 ft.(5 meters) because they have to run off a single transformer (comes with the kit) that won't work on a longer length. You can cut them to shorter lengths & wire them together as long as you don't go over the 16.5 ft. Hope this helps. Good luck. I have them all over my house! Can you have more than one strip connected to the power transformer? We are using in kitchen and will have strips on 2 sides of a microwave oven. BEST ANSWER: Hi - This kit is designed to connect one strip only to the power adapter. 1. Would this product work outside under the eve of house. 2. Please confirm; each 16 ft strip needs to plug in separately? Wanting to use this as accent lighting around pool area. 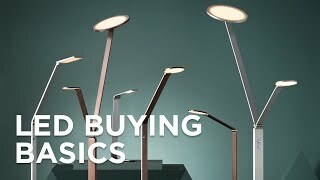 3. do you sell lights that have other color combinations. Can these be placed on front of eve of house and used as Christmas lights red and green - then Pink for Valentine - Orange Halloween etc... Thank you in advance. BEST ANSWER: Hi Ben - this can be used outdoors but it cannot be exposed and in direct contact with water (i.e. sprinklers). The power adaptor must also be in a waterproof container. Each strip will need to use its own plug. Can I purchase a replacement remote control for this product? can I cut one spool in two, to send two different directions? Are there connectors available for the second direction? BEST ANSWER: The tape light can be cut to desired length; however, we do not have any connecters available for this tape light. how long is the power cord from the end of the light strip? BEST ANSWER: The overall length of the power cord is about 95”. There is three components to it. The transformer is 4 1/2" wide, the red cord that’s goes to sensor is 46 1/2" long, and the cord to outlet is 44 1/2” long. Is there a converter to allow you to use 120VAC? BEST ANSWER: This tape light is a plug in and will have the adaptor to plug into a 110 volt outlet. I see the controller appears to have two leads. Does this mean you can attached a second run to it? BEST ANSWER: The second wire displayed is not a lead. It is the antenna for the remote. Does the backing tape stick well to wood (the underside of kitchens cabinets)? BEST ANSWER: The tape light does stick well to wood surfaces. Make sure it is cleaned and dust free before applying the tape. Do you have a longer string of lights or can i add to this ? BEST ANSWER: I'm sorry, this is the longest color tape light kit we carry. You cannot add to it. BEST ANSWER: Hello - It's 3/8-inches wide. Hope that helps! BEST ANSWER: I don't understand the question. Each "light" on the strip is a combination of several differently colored LEDs. The light strip comes with a small remote control that allows you to choose different colors. Selecting "W" (white) turns on all the LEDs and gives you a white light. By selected other buttons on the remote, you can get other colors like green or blue. And pressing the "R" button will give you red light. If you don't want red light, than don't push that button. I hope that answers the question. lit up with the color I chose. This three-light brushed nickel ceiling fan light kit features a vintage cage design and comes with three LED bulbs. This hard-wire installation under cabinet lighting set is ideal for a small kitchen space with two large cabinets and one smaller cabinet. This LED wall light is patterned after vintage jelly-jar light fixturesand uses only 11 watts of power. Pull chain operated ceiling fan light kit features an acanthus leaf design and etched glass.